The company's system architecture innovations include the Twin server, Double-Sided Storage and SuperBlade® product families. Supermicro's innovative architecture and resource sharing enables these systems to deliver the best performance-per-watt and performance-per-dollar while offering the highest densities in the industry. 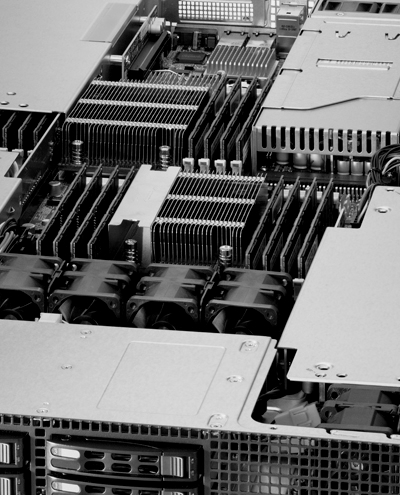 Offering the most comprehensive product lines in the industry, Supermicro provides businesses of all sizes with energy-efficient, earth-friendly solutions that deliver unmatched performance and value. The slogan We Keep IT Green® is a mission that motivates Supermicro to continue providing systems with the industry's highest power efficiency. Founded in 1993, Supermicro is headquartered in Silicon Valley with worldwide operations and manufacturing centers in Europe and Asia. Supermicro Server Building Block Solutions® offer exceptional flexibility and feature advantages. A full list of our products can be viewed through the navigation menu bar.